LASIK surgery in Destin is one of the most sought after eye procedures among middle aged adults and older adults in the area because of the efficient and excellent results. LASIK requires an eye examination for every patient, ensuring that there are no existing conditions that could affect the outcome of the procedure. 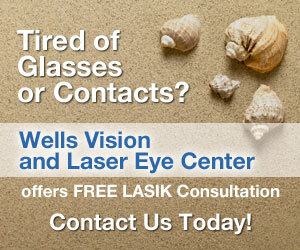 LASIK surgery is one of the safest and most effective laser vision correction surgeries. More and more people are becoming inclined to undergo LASIK at Destin because of the numerous benefits that they can reap from it. Doing your favorite activity with visual limitations can be frustrating, even more so if you are an athlete. An athlete’s vision is one of the most important tools for their performance. However, athletes with eye disorders usually need glasses or lenses to actively participate on the field or court. Age-related macular degeneration and cataracts are a common cause of blindness later in your life. Many eye care professionals believe that a healthy diet can help to reduce your risk of developing and/or slow the rate of vision loss caused by these age-related eye diseases. Hyperopia, or “farsightedness” as it is more commonly known, is a vision condition where objects up close appear blurry. If you have severe farsightedness it will be very difficult to see objects clearly within a few feet in front of you, whereas if you have a mild case tasks such as reading and looking at a computer screen will just be difficult. For the fourth year in a row, Wells Vision and Laser Eye Center has been awarded "Best of the Emerald Coast" by Emerald Coast magazine. We are honored by this prestigious award. At Wells Vision and Laser Eye Center, we strive to make every patient feel right at home and ensure that their every need has been addressed. The human eye is an incredibly complex piece of biological engineering, it allows us to see by translating light into electrical signals and sending them to our brains. Due to the complexity of the human eye there are some things you might not know.